- Inventory Limit Warning Added. - Line Up Players Also Added to Inventory Count. 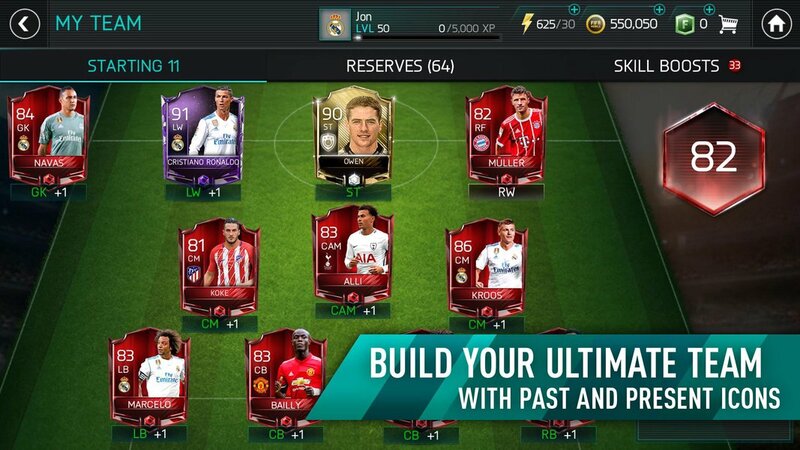 FIFA Soccer mobile is one of the most authentic mobile games ever that has received a massive response from the football lovers. It is not a mere game but is associated with campaigns, training the players, boosting the skills of the players and more. 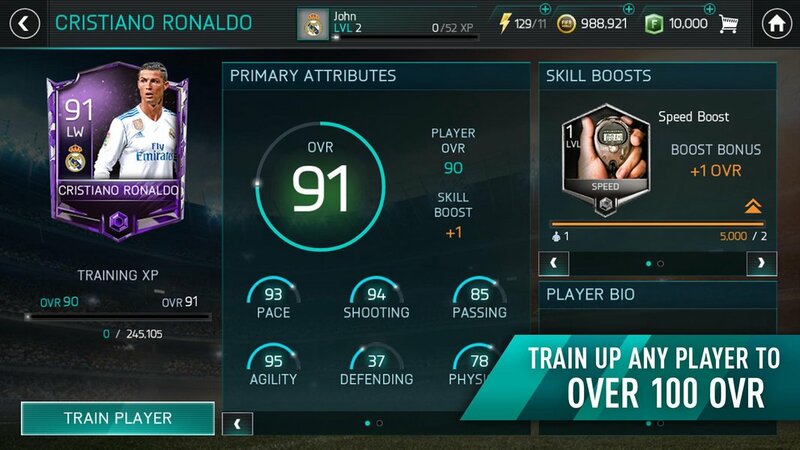 Additionally, you can get a free Ronaldo item, upgrade to players over 100OVR and build your dream team with the players of your choice. 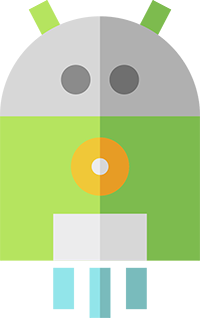 The icons in the game include the most popular faces of world football. Starting from Ronaldinho to Maldini and from Owen to Yashin- there are a number of players whom you can hire to form your team. The superb players present can even earn you rewards. 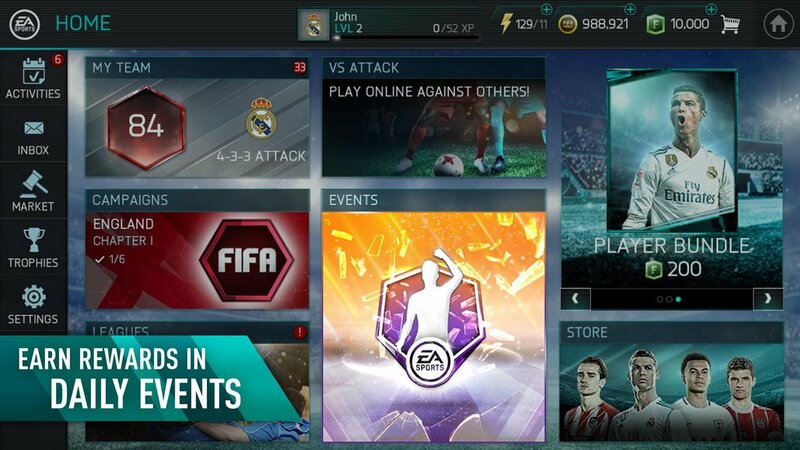 The chapters inside the campaign can help you to get more players and rewards at the same time. Another great feature of the app is training the players. You can train your players just as you like. 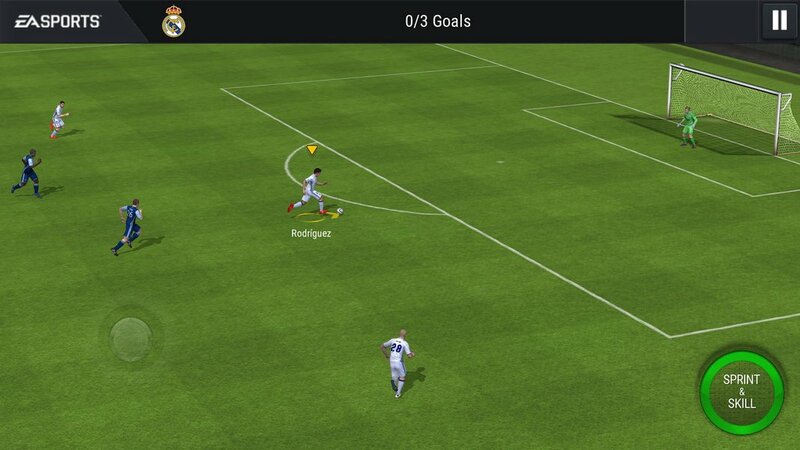 This way, each skill that your player has can be enhanced and new skills can also be developed. The previous version of the game, FIFA 2016 suffered from certain issues like connectivity issues and lacked some basic elements. FIFA Soccer manages to overcome these difficulties and is thus preferred by the players to a great extent. It has a bigger file size and requires a stronger internet connection. However, the features offered are worth it. The file size is 1.1GB and along with this there is an optional commentary feature. The commentary file would occupy about 245 MB and can be downloaded later if you wish to. FIFA Soccer mobile also has an engaging gameplay. 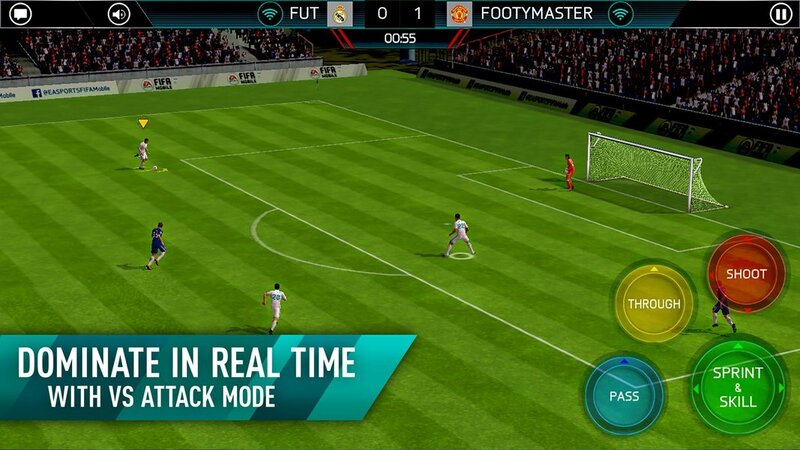 A new mode called as the Attack Mode has been added in the game and the main focus of the game is on scoring as many goals as possible. There are two ways for controlling- the on-screen buttons and the gesturing. You will be able to create your own league or join others in this game. Eventually, you may participate in the competitions taking place and can get prizes exclusive to the league tournaments. 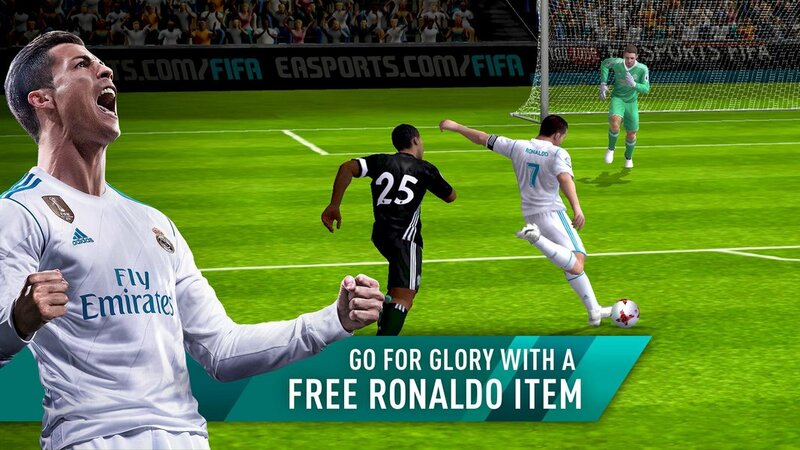 Download FIFA Soccer mobile game and have a great time! No Reviews, Be the first one to write. A better place to download APK apps & games.